Choosing a real estate agent who has the tools, skills and experience to make your dreams come true can be as challenging as the home buying process itself. Let me make it simple for you. With the RiveraTeam, not only will you benefit from the experience of a professional, but we have a great support staff and the latest tools and technology to help us along the way. Whether you are buying or selling, our mission is to provide reliable, trustworthy service. I want to be your Realtor for years to come, and hope to do such a great job that you will feel confident in referring your friends and family! Twisted Bean Coffee Company gave me a good cup of Joe! I always check out my books and movies from the Grimes Public Library! Do you? Just driving through Urbandale and appreciating the scenery. Old School Pinball is a new addition to Grimes, located on Main St.
Bought a Single Family home in 2018 for approximately $125K in Union Park, Des Moines, IA. it was a great experience. Ryan was honest and straight forward. Extremely knowledgeable on all processes We need to do from start to finish. Made buy our first home seamless. Sold a Single Family home in 2018 for approximately $275K in Grimes, IA. 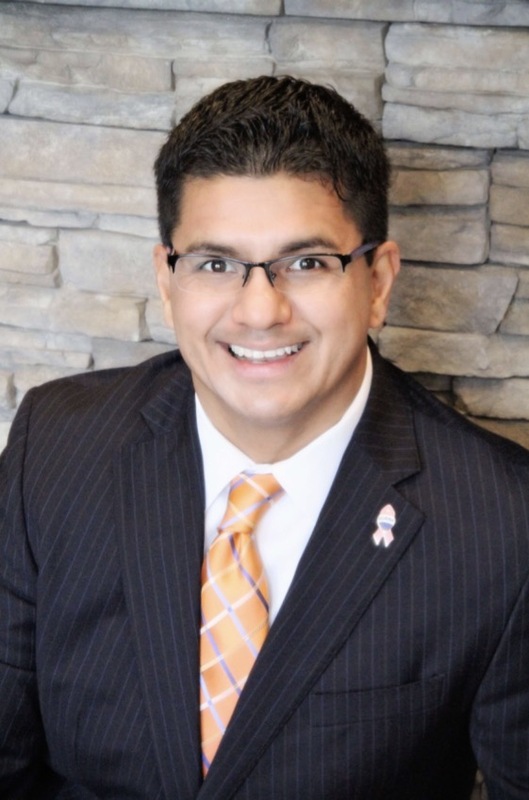 This is our second time using Ryan Rivera as our realtor. He recently sold our house in 1 day of it being listed as well as found us our new home!! He was there for us every step of the way making sure we understood he process and answering any questions we had.... no matter the time of day! :) we would definitely recommend Ryan to anyone and everyone we know. Great realtor!! Our experience with the Ryan was excellent! He is very knowledgeable about the real estate market, thorough, hands on, and a great communicator. He understood that we were feeling very stressed about selling our home and helped put our minds at ease. We would definitely recommend Ryan! Bought a Single Family home in 2018 for approximately $200K in Drake, Des Moines, IA. Ryan was a great resource to help us in purchasing our first home. He was quick to respond, thorough, knowledgeable and friendly. We definitely recommend him to anyone looking for a great realtor! Bought a Condo home in 2017 for approximately $250K in Grimes, IA. Best experience! Ryan was very prompt and made things happen in a magical way! I was very happy with him and his assistant helping to set up appointments. Bought a Single Family home in 2017 for approximately $150K in Colfax, IA. Very smooth proces. Ryan was great and very helpful through the entire process. He kept me informed all the way through. Such a personable person and would recommend him to anybody in the market to buy or sell a home! Sold a Single Family home in 2017 for approximately $125K in Merle Hay, Des Moines, IA. Great job by a super guy! Always went the extra mile to help make the sale of my house happen! When we hit any obstacle he would keep me positive and believing that he was going to see it through! Sold a Single Family home in 2017 for approximately $325K in Johnston, IA. Ryan worked hard to resolve issues with our buyer. It was an incredibly difficult situation and he did his best to make sure there was a positive outcome for us. When the buyers were being unreasonable, Ryan took money out of his proceeds to make the situation work for us. Sold a Single Family home in 2017 for approximately $100K in Indianola Hills, Des Moines, IA. Sold a home in 2017 in Colfax, IA 50054. Ryan is very professional but personable at the same time. We were pleased with the results of the sale of the property in Colfax. He was very easy to work with and prompt with his responses to our questions. When we sold our house, Ryan and Jessica handled the paperwork and helped us through the transaction with such professionalism and ease that we had nothing to think about except moving to a new location. The first time we met Ryan, we felt like we were dealing with a lifetime friend and his personality immediately drew us into a realm of security and trust. He was always prompt with a response to any question we may have had. If you want a smooth transition from one home to the next, he is the one you want. On a scale of one to ten, we gave him an eleven!! !